Roku manufactures a variety of digital media receivers that allow customers to access internet streamed video or audio services through televisions. I can stream NetFlix and download movies from Amazon with my new bought Roku 3. I was wondering if anyone knows if the Roku will play movies I have purchased in iTunes. If it’s possible to stream movies i have stored on my computer (which i have loaded into the iTunes Library) to my Roku Box? When it comes to iTunes contents, Apple TV is dominant over other popular streaming boxes, like Roku 3 and Chromecast, or Nexus Player, which just works in Apple ecosystem to let you stream iTunes videos from other iDevices. Since iTunes movie are DRM embedded files, if you want to import your iTunes purchases and rentals on Roku 3 directly, that’s no way. Don’t worry, take a few seconds to see What format can play on RoKu 3. A USB port enables local media playback (supported formats include: MP4 (H.264) & MKV (H.264) video / AAC & MP3 audio / JPG & PNG image) on Roku 3. iTunes movies format is M4A or MOV, music format is M4A, so for playing iTunes on RoKu 3, we have to strip DRM from the iTunes first, and convert iTunes m4v media files to Roku 3 friendly video format through USB. 5. It would take as long as the source movie length for the whole iTunes contents to Roku 3 conversion process since Pavtube ChewTune records source DRM files in 1:1 video and audio quality. How to Remove DRM-protection from iTunes movies to Roku 3 channel? Install and run Pavtube iTunes to Roku 3 Converter, and then click “Add Video” button or “Add from folder” icon, your purchased or rented movies would be listed in the popup window. Select the files and then click “OK”. Click “Format” dropdown list, set a format that Roku 3 supports. Roku USB channel supports video playback of mp4 and MKV, but mp4 is considered to be a relatively superior file format since its ability to compress the video while keep the video quality. 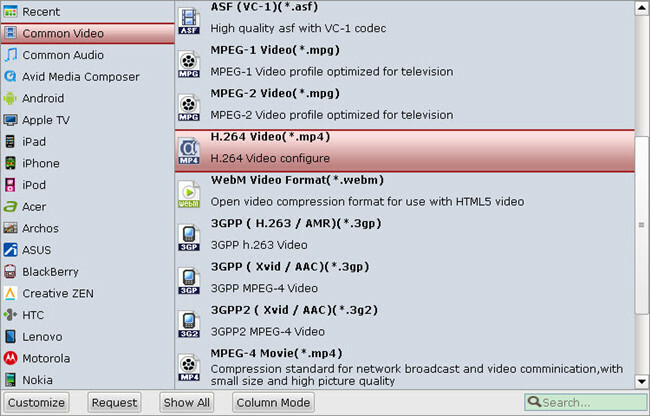 Besides, you can also convert your DRM protected iTunes video to Windows Media Player, XBMC or SD Card for enjoying. Click “Convert” button, you’ll open the converting box. Click “Convert” button in converting box to start to convert iTunes movies. After converting the movies successfully, you can transfer the converted video to a USB file or SD card and attach it to Roku box. 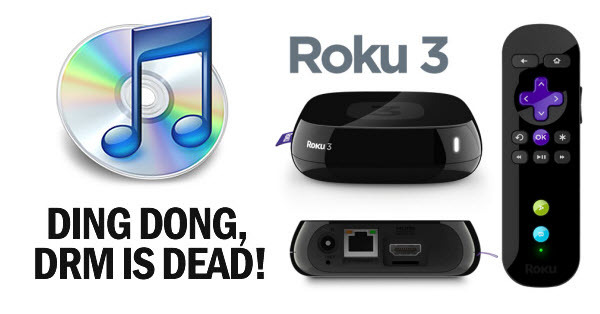 Now the Roku set-top box will have no trouble to play iTunes movie files. Also learn how to Play Blu-ray/DVD on Roku via Plex and watch YouTube Videos on Roku. The Roku players are tiny devices without any hard drives, designed specifically to play back video over the network on your TV set. It’s one of Apple TV’s direct competitors, but with an entry-level model starting at $49.99. All models support playback of a growing collection of multimedia “channels,” including Amazon Video on Demand, Netflix streaming, MLB.tv, Pandora, Hulu Plus (in a forthcoming release) and more.